Violin by unknown maker in the late 1800’s. Modeled after French maker Nicolas Lupot. Violin by unknown maker in the late 1800’s. Modeled after French maker Nicolas Lupot. An interior decorative label displays: “Nicolas Lupot Luthier, rue Croix des Petits Champs a Paris”With a dark baritone projection, this violin has a powerful low end and a rich, soulful E string. 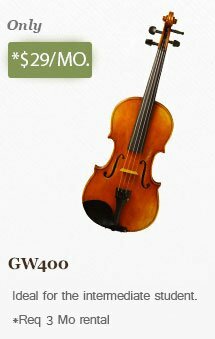 Perfect for solo, chamber, or orchestral performance.